Secret Santa is a Christmas tradition that many offices and large families carry on year after year. 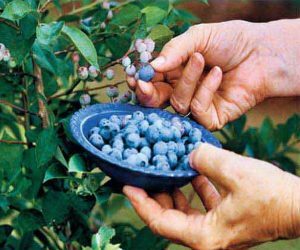 It involves getting a group of people together and managing the exchange of Christmas gifts, especially for an office, a large family or a family on a strict budget. It is meant to be a fun gift exchange game and a fun way for you and your coworkers, your families to get in the Christmas spirit. Secret santa gifts are not supposed to be elaborate or expensive, they’re supposed to be cheap and useful. 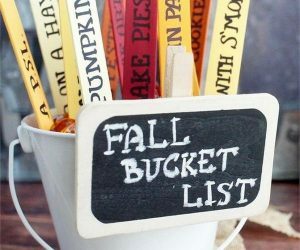 If you’re struggling with finding a cheap Secret Santa gift for your gift exchange this year, here are various ideas that would make good, unisex Secret Santa gifts for coworkers and family members, please check out this post and find some inspirations from our collections! Have fun! A salty sweet treat that can be made last minute! It is great to bring to a party or used as a secret santa gift for exchange! See the tutorial via no biggie. 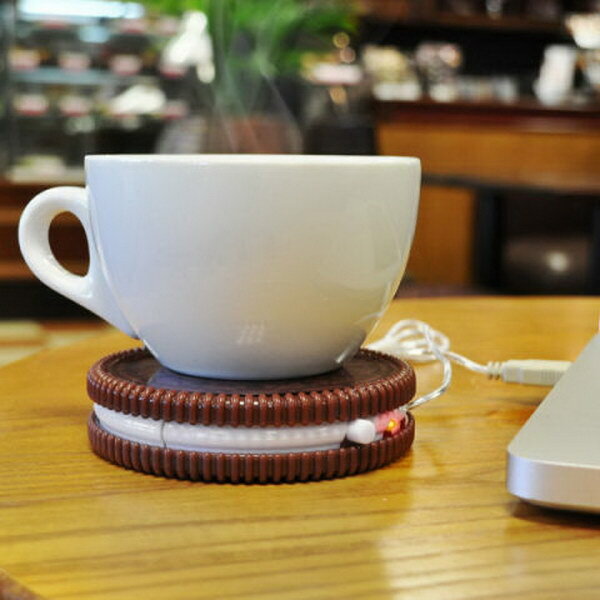 This clever and cookie shaped gadget is super cute and adorable can keep your coffee warm with electricity from the USB. 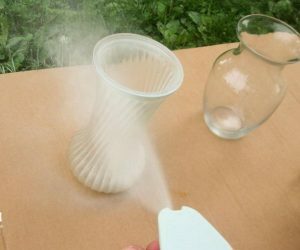 So you don’t need to warm up your tea in the microwave ever again. It makes a great secret santa gift idea! 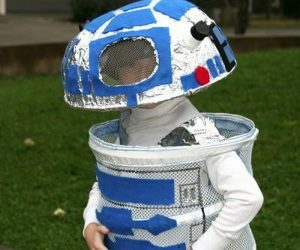 Via I want one of those. 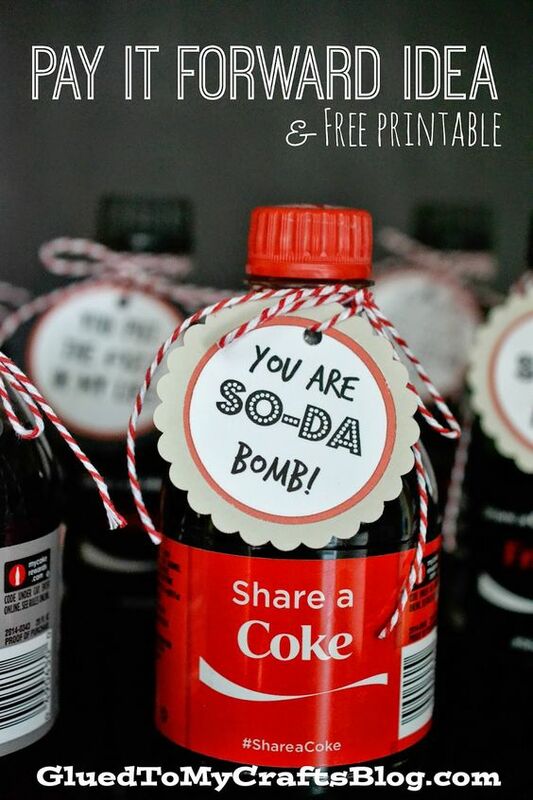 A sweet little gift to gift your work bestie or other friends you want to. Via brit. 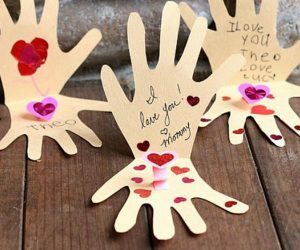 Your children and you will enjoy making this simple gift! 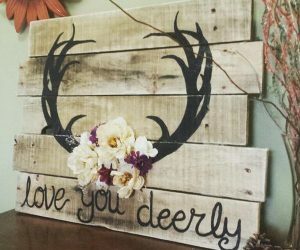 It makes great gift for anyone your like to. 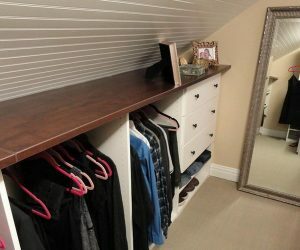 See the steps to make it via neat nest organizing. 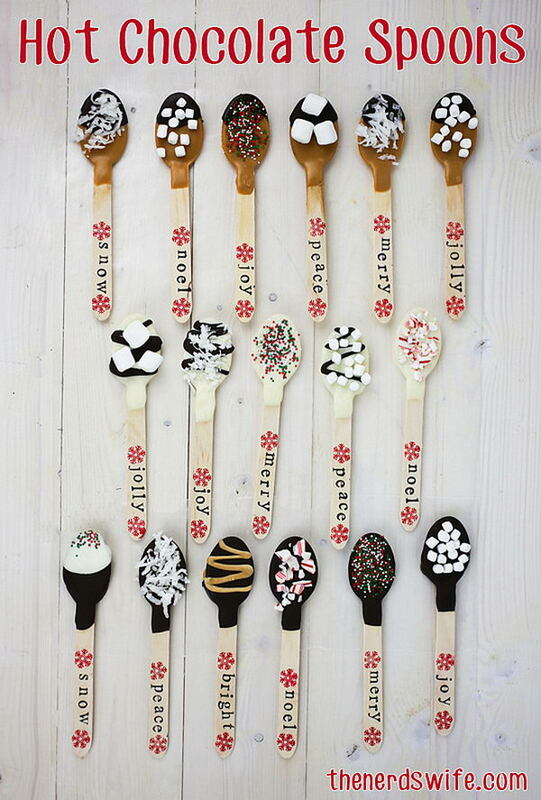 Food is always a popular gift idea! 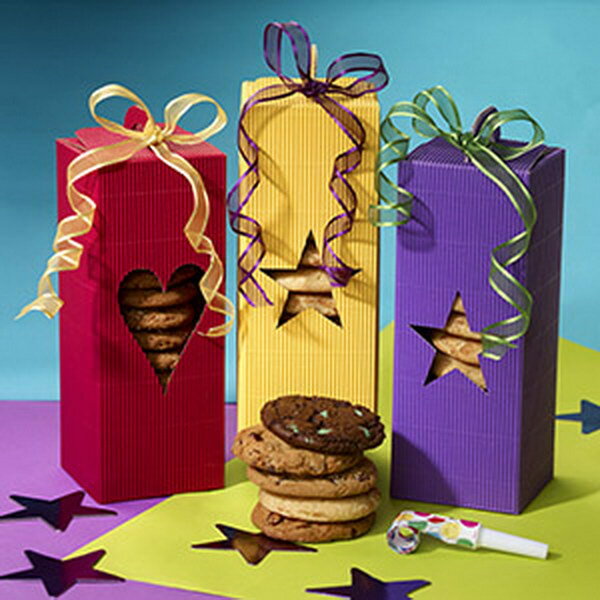 Your recipents will certainly appreciate a sweet treat like these cookie gift boxes. Different cookie flavors with different colors! 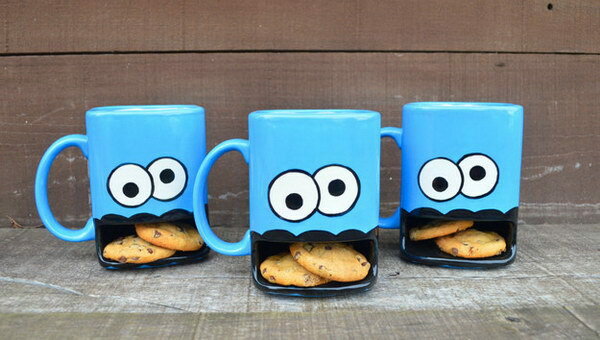 Via Pacific Cookie. 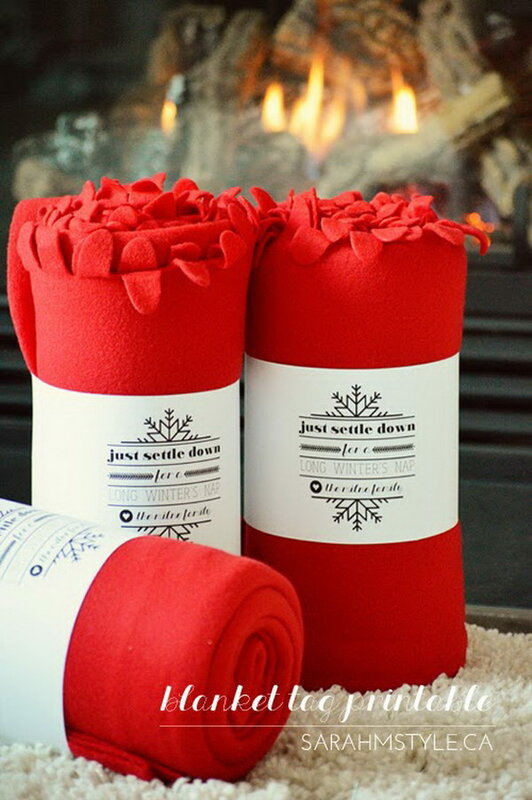 Get cherry red fleece throws at IKEA and design a custom tag to band around each blanket. 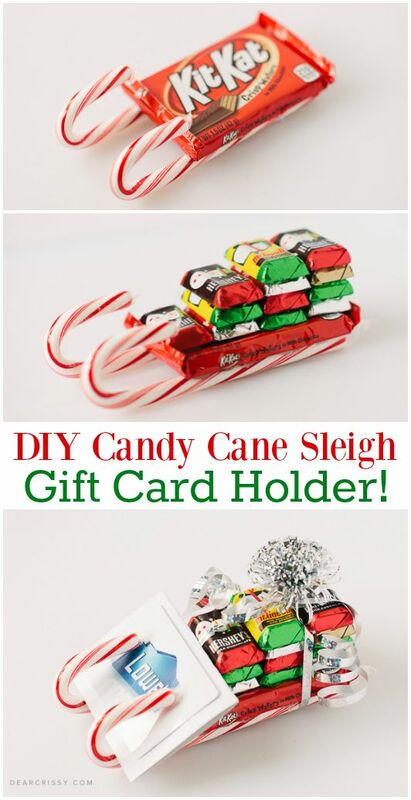 Super easy and simple secret santa gift idea! See the steps via sarah m style. 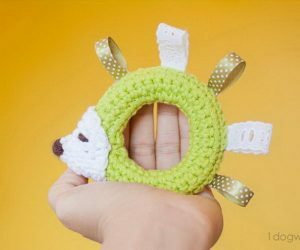 Super cute and extremely easy to make without spending a lot of money. See the steps via kinder-kreations. 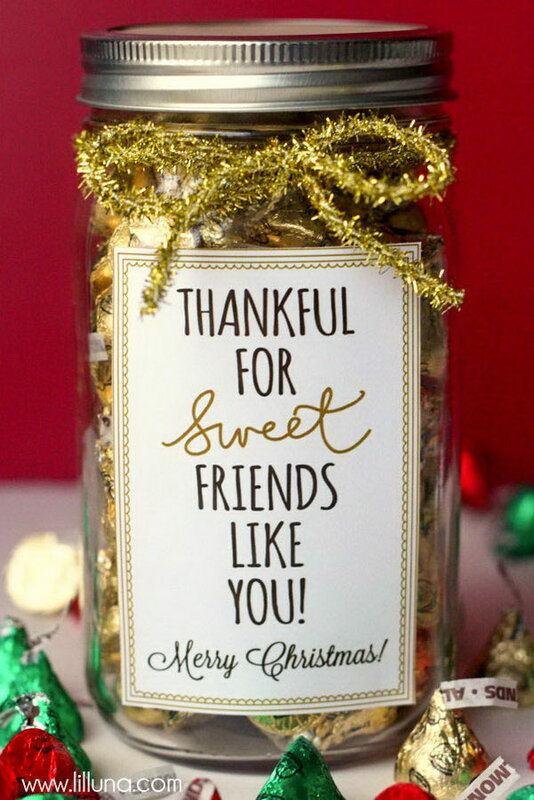 I am happy to show you the simple recipe and how to turn it into an easy and cute gift idea for those that you are thankful for this Chiratmas! Details via lilluna. Check out this gift box details via just destiny mag. 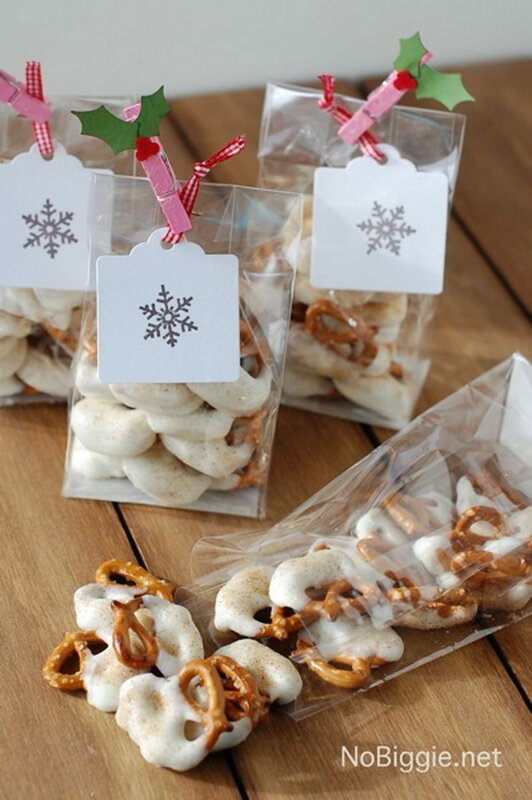 DIY rudolph the red nosed reindeer candy gift. 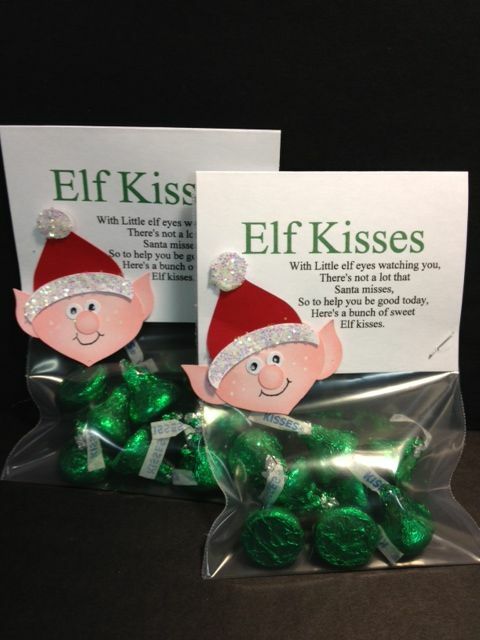 Great ideas for your Elf on the Shelf. 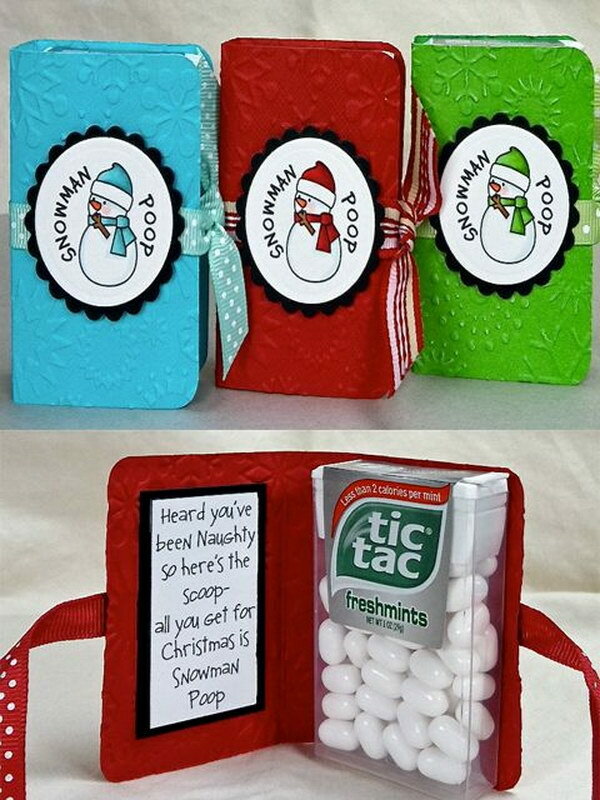 Also such a fun idea for secret santa this Christmas! 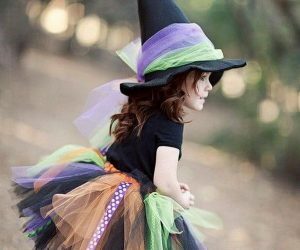 See the DIY tutorial via living locurto. 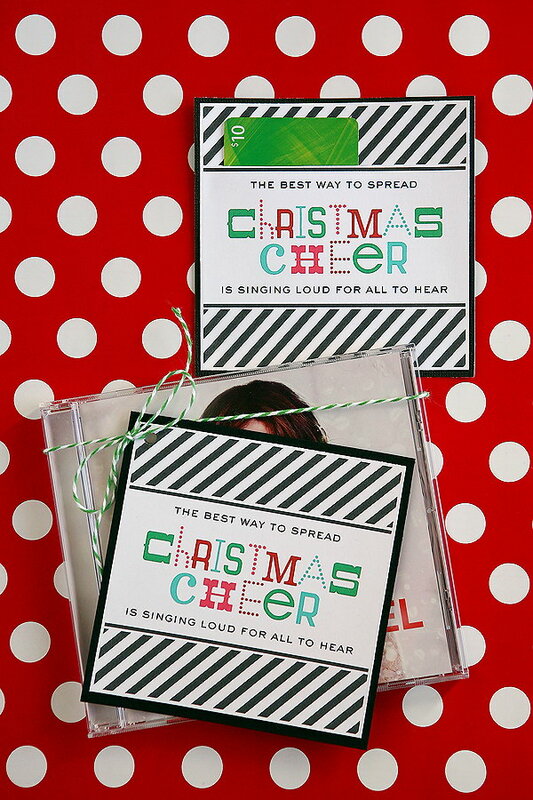 A Christmas CD gift with a little twine and a fun tag. 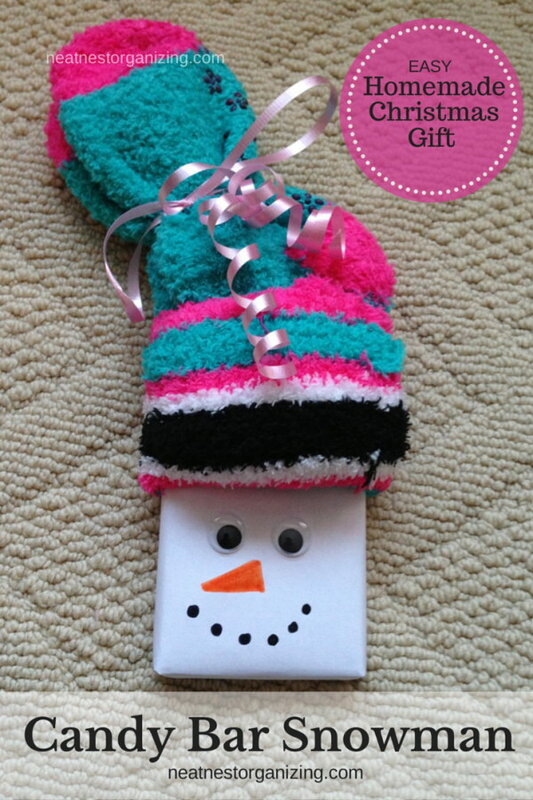 Simple and fun secret santa gift idea this holiday! See more details via eighteen25. 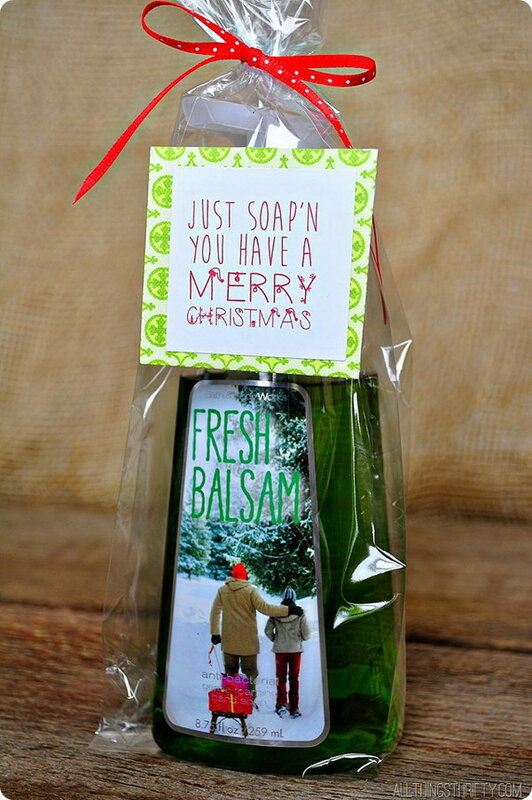 Wrap the bath and body works soap with the fun saying, “Just soap’n you have a Merry Christmas.” A super fast and cute Christmas gift! See more instructions via all things thrifty. 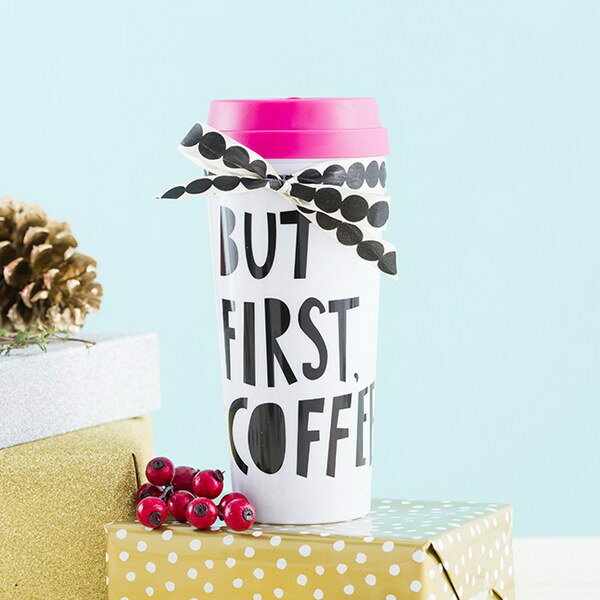 This hot stuff thermal mug is the perfect accessory for the girl-on-the-go who needs her morning cup of joe. Via brit. 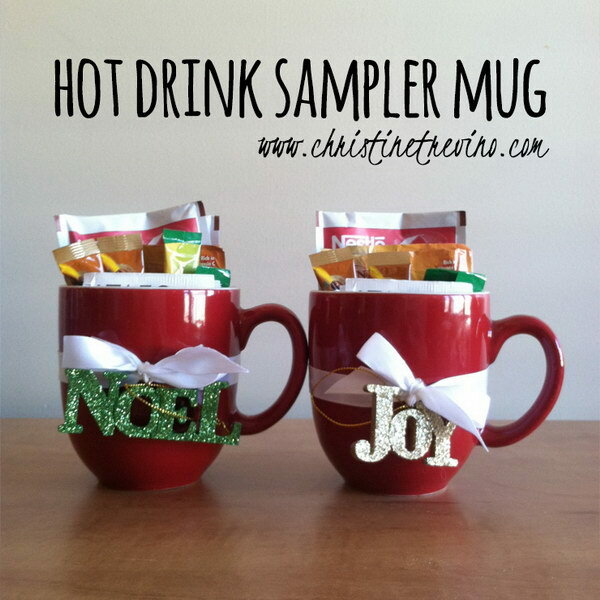 Decorate the coffee mugs with some sparkly Christmas ornaments together with a Christmas gift tag printable. 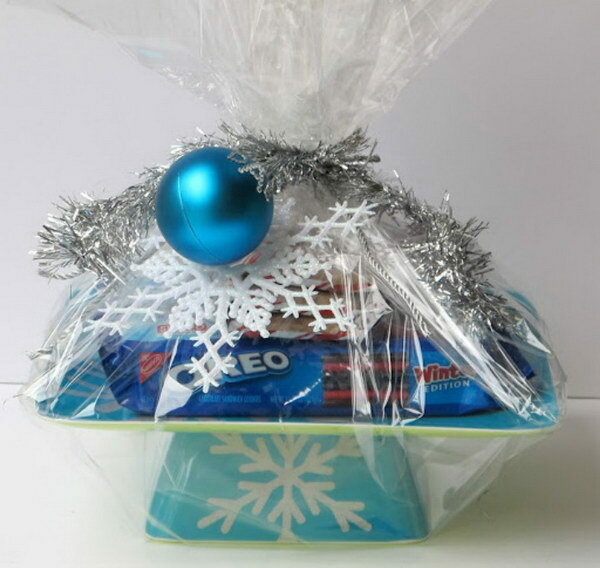 Simple DIY Christmas gift for a secrea santa gift exchange party! DIY steps via christine trevino. 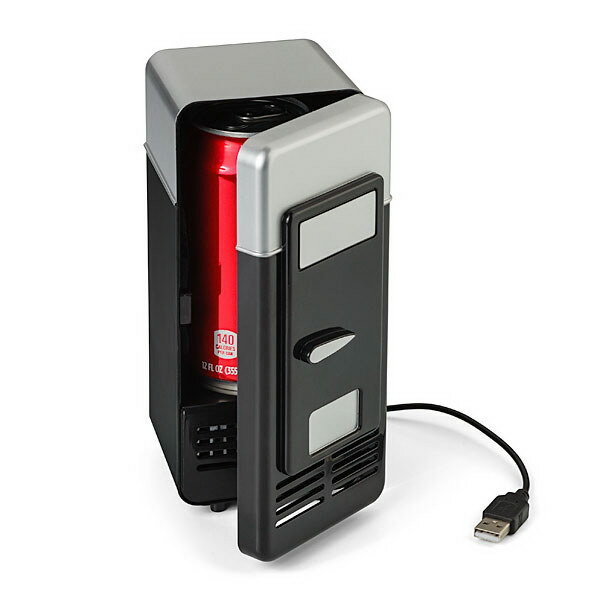 USB power keeps your drink at the perfect temperature. Great secret santa gift for your coworkers! Via think geek. 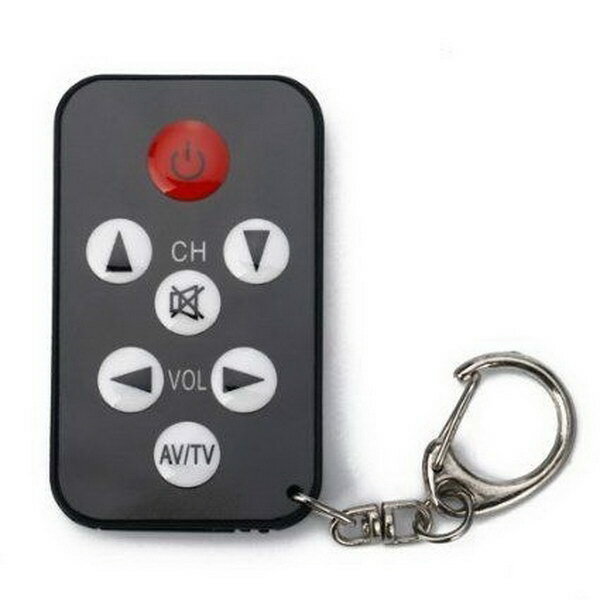 This mini keychain universal remote can control up to 500 brands of televisions. Great for bars, restaurants, the gym, schools, and hotels anywhere! Get one for your secret santa gift exchange today! Via Amazon. 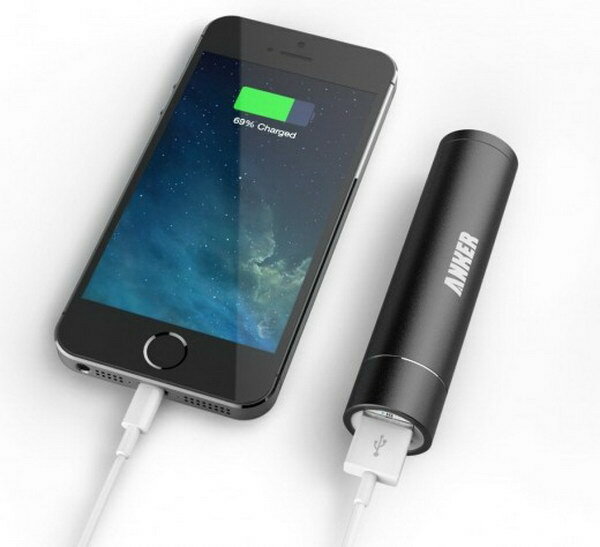 Portable battery charger will surely be a welcomed Secret Santa gift with the good charging speed, sleek design, and compact size. Via Amazon. This super cute plastic cake stand gift was SO smart and costs less than $10 to make! 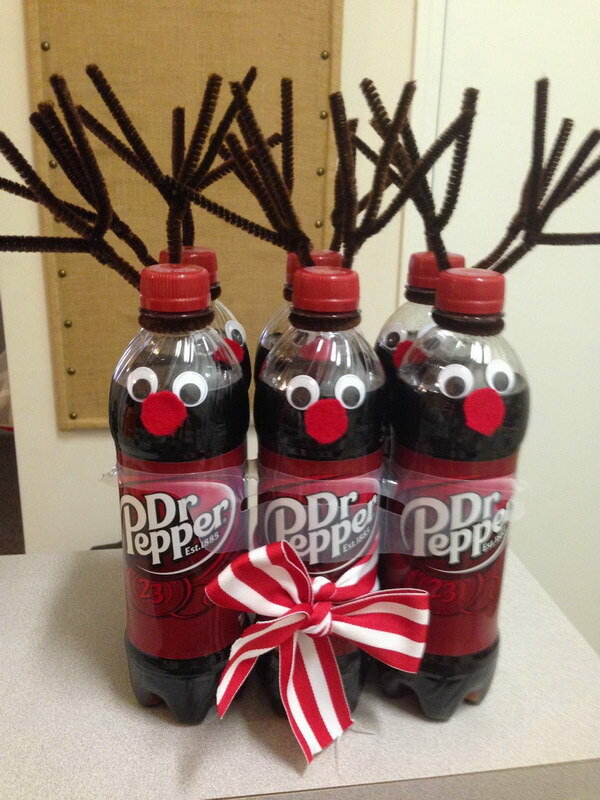 This would be a great secret santa gift this Christmas! Details via the creativity exchange.